Looking to buy a used Kia? Whether it’s a Cee’d, a Sportage or a Carens Imperial Car Supermarket in Northampton offers great prices, part exchange and finance deals. 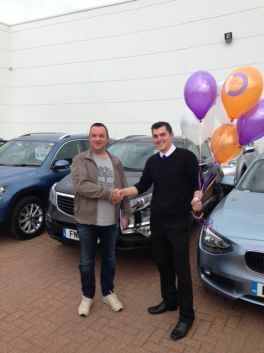 Don’t just take our word for it, recent customers agree! 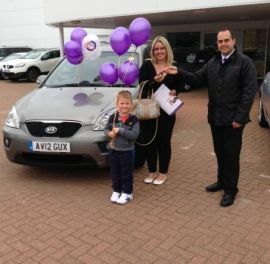 Take Emma who purchased a Kia Carens in September from us, she got in touch to say that she would recommend Imperial Car Supermarkets to others as we were helpful, friendly and her purchase was stress-free. Imperial Car Supermarkets have a range of used Kia cars for sale across our showrooms in Northampton, (also Southampton, Portsmouth & Fleet), which are selling well; our current cars start at just £10,880. Click here to view. Don’t forget as with all the cars we sell each is presented in showroom condition, are fully checked over independently by the RAC and come with the RAC report and all of the vehicle documentation available to view on our website. Shop for a Kia at Imperial Car Supermarkets today!